Star Tracks and Collapsar is a brand new dance performance by two artists from China, Yahui Lu and Guanglei Hui. Featuring on “Time and Logic”, Lu and Hui collaborate with with new media artists, and explore the cross-border cooperation between the contemporary visual art and performing art. As Lu said, “we explore any possibilities”, the performance will be presented with projection and video design in combination with dance movements. This performance is also part of the New New Yorkers Arts Opening Reception at the Queens Museum. For more details, please see here. 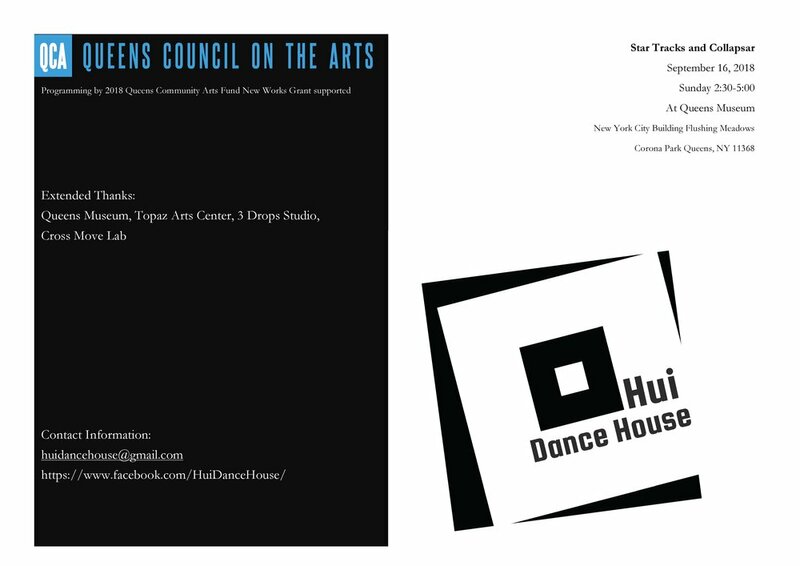 The project is funded by Queens Council on the Arts for New Work Grant.